Posted on 07 November 2015. ATTN, EDITOR TMR: What about “good governance” reforms? BRADES, Montserrat, Oct 21, 2015 – In Montserrat’s Sustainable Development Plan, 2008 – 20, one of the five main goals is good governance. The June 2012 FCO OT’s white paper points out that under UN Charter Article 73 obligations, “[t]he UK Government’s fundamental responsibility and objective is to ensure the security and good governance of the Territories and their peoples.” In her acceptance speech in August HE Governor Elizabeth Carriere mentioned good governance five times and partnership three times. 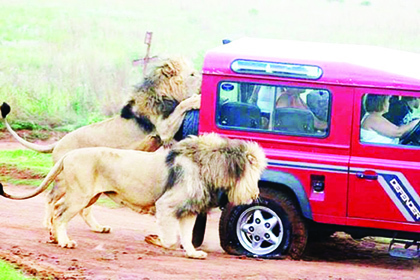 Governance reform in partnership with HMG is definitely on our agenda; it is “lion number one” we have to deal with to be able to fix our leaky tyre economy. But, there are two big questions: (1) what is “good governance”? And, (2) why is it so important for Montserrat? transparency and accountability, corruption, mismanagement, child safeguarding and much more, Montserrat clearly does have good governance challenges. And so, our main development partner, HMG, has repeatedly stated on the record that governance reform is a priority if we are to move ahead on the “catalytic” projects that could help trigger economic growth and development. Big-Q, no. 2 pops up: How, then, can we move towards the needed reforms? Big-Q, no. 4: how can we best build on our strengths, counter our threats, and compensate for weaknesses, moving us towards a more desirable future? Likewise, if we are forever fighting over who is going to be top dog, that tells HMG that we are simply not yet ready to be “safe hands” for a St Helena-like “catalytic” investment. That is one reason why the required stakeholder consultations on the way forward will have to be very carefully put together indeed. A critical mass of people who have a stake our society must feel that it is safe for them to come together and freely speak their minds and hearts, or the whole exercise will become a big lie game to make us feel good even as we all head over the cliff. 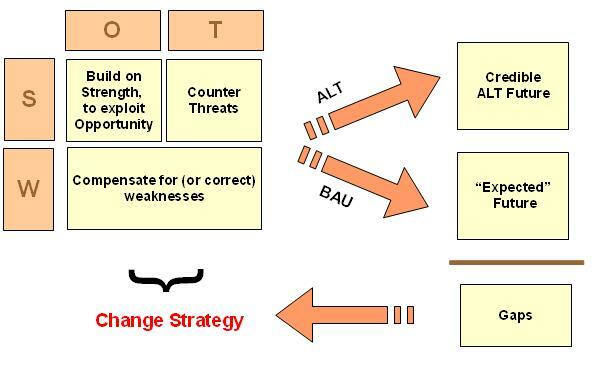 (In short, business as usual, rhetoric as usual, power games and tactics as usual are self-defeating. All of this surfaces another Big-Q, no. 5: sustainability. will better and more fairly meet our needs today and tomorrow; which requires that we carefully balance impacts of our development projects on the economy society and on culture, as well as on the natural environment. Are we adequately addressing the health, education, livelihood and welfare needs of the poor, the vulnerable or the voiceless? Are we hampering the ability of the economy to grow and develop in the long term? Is the growth we are hoping to achieve inclusive, giving real hope to the poor, youth, women, the elderly, those on the fringes of society? Are we undermining the resource-base our children will need to support their own livelihoods in days to come? What are we doing to our families, communities and society as a whole, and to our cultural and historical heritage? Perhaps hardest, while any economic activity cannot but impact on and be impacted by the natural environment, are we causing irreparable damage? And always, Big-Q, no. 6: is there a better way? Reforming and improving governance, clearly, is a long term challenge. But, if we are to get somewhere, we need to make a start. So, Big-Q, no. 7: if not now, then when – and why? EXCLUSIVE: Never-before-heard 911 call reveals the chilling moment one of the Turpin daughters turned her parents in.